Deciphering the complex world of international cuisine has become a passion for the founder of Cook's Thesaurus, Lori Alden, who meticulously provides carefully considered substitutes for all manner of ingredients in the global kitchen at www.foodsubs.com. Alden fired up the site in 1996, when her daughters began learning to cook, and she realised that most of their questions were about finding ingredient shortcuts. The resulting tips are invaluable: the site lists six supermarket-friendly alternatives to buttermilk (try combining regular milk with a dash of lemon juice or vinegar); while Seville oranges make a worthy substitute for kumquats when jam-making. Each of the 2,500 entries is accompanied by a clear photograph, and various names by which a specific foodstuff may be known around the world, to ensure you realise that, for example, Indian brown, German and Egyptian lentils are all exactly the same variety. The Cook's Thesaurus could not be simpler to navigate, or more clearly designed. ... The fruits of her lifetime interest appear on the very thorough pages of her site. Her suggestions for substitutes are intended for dieters looking for low-fat or low-calorie alternatives and for gourmets on a budget, among others. Ms. Alden offers 10 categories (like vegetables, alcohol, meat and fish, grain products), each subdivided further. Her Sugars page (under flavorings and accompaniments) describes how baking will be affected by the use of powdered sugar, corn syrup, rice syrup, honey (she warns against feeding it to infants), maple syrup plus baking soda, granulated fructose or molasses. Under Milk and Cream, she gives substitutes for Chantilly cream, clotted cream, whipped cream and others, with discussions of butterfat content. For those with lactose maldigestion, milk allergy or casein intolerance, she also has a No Milk page. Ms. Alden's bibliography (click on Sources and Links) shows just how deeply she has mined the subject. What can I sub for the Vidalia onion I don't have? What difference does it make if I have the "wrong" kind of lettuce for this salad? Are dried herbs always inferior? This is a cheat sheet for stressed-out cooks who don't feel like going into Martha Stewart mode to procure their recipe ingredients and want to find appropriate stand-ins for the missing elements. Author Lori Alden includes an extensive biblio- and Web-ography. PC World included the Cook's Thesaurus in its August 2003 Eighth Annual Guide to the Best Free Stuff on the Web: 101 Great Sites. Access Magazine listed the Cook's Thesaurus in its Best Sites of the Year issue for 2000, giving it a perfect score of 4 in all categories. 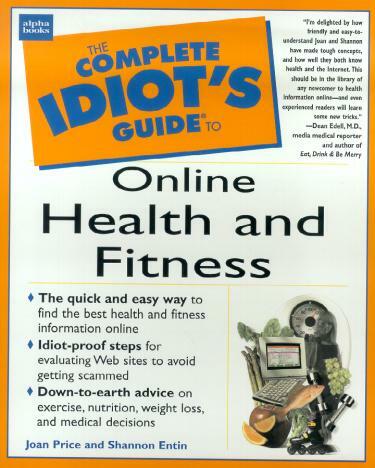 The Cook's Thesaurus is listed on page 174 of the Complete Idiot's Guide to Online Health and Fitness.